Cold forming produces finished parts that are superior to their machined versions in less time and at lower cost. With machining, up to 80% of the original material may have to be removed to produce the required part geometry. Our specialized and multi-stage cold forming techniques enable us to completely eliminate machining operations for most parts. Both symmetrical and non-symmetrical part features can be readily cold formed instead of machined. Complex internal features, such as square blind holes, that are difficult or impossible to machine with conventional methods can be created directly at high speeds using our cold forming techniques. 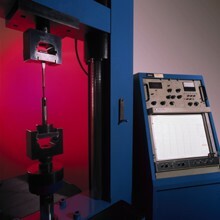 CWR maintains equipment capable of producing hundreds of small, high tolerance, parts per minute. 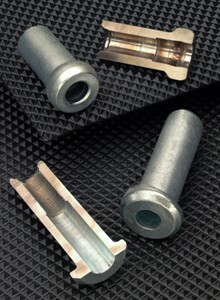 Parts such as gears, shafts, studs, pins, collars, spacers, and specialized fasteners can be rapidly produced through our cold forming techniques. Cold forming techniques are environmentally friendly - producing little or no material waste. Since cold forming produces parts that are stronger than the equivalent machined versions, it may also be possible to substitute lower cost materials or to reduce part size or weight while meeting the original design strength requirements. Whether you need tens of thousands or millions of parts per year, our array of high speed cold forming equipment is ready to meet your most demanding production requirements. By choosing CWR as your manufacturing partner, you can approach each cold forming project with confidence that your desired results will be achieved quickly, accurately, and at the lowest possible cost.